This certainly felt like a fancy breakfast! 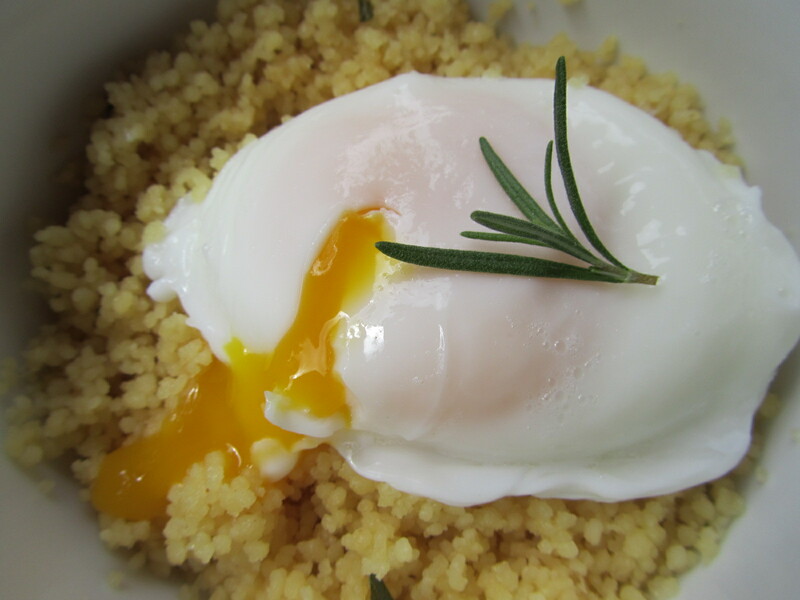 Runny egg yolk, fluffy cous cous – very decadent. The best part is, it took less than ten minutes to make, start to finish! 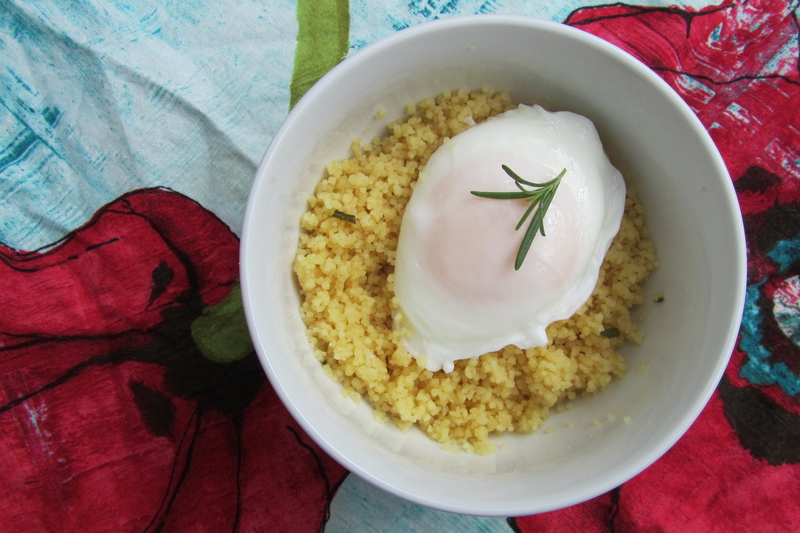 Poached eggs are the best breakfast. They seem so decadent and special, but once you get the hang of them it is quick and easy. The other plus about eating an egg is that they have good fats, only 70 calories, and paired with the right type of carbs they fill you up for hours.